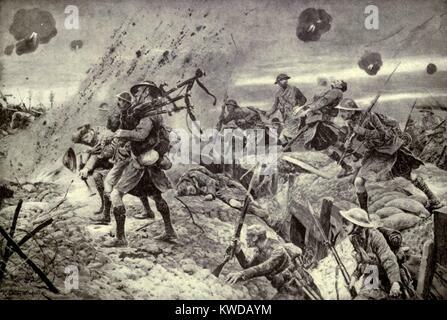 Contemporary World War One illustration of Scottish soldiers playing the bagpipes under enemy fire during the Battle of the Somme in July 1916. 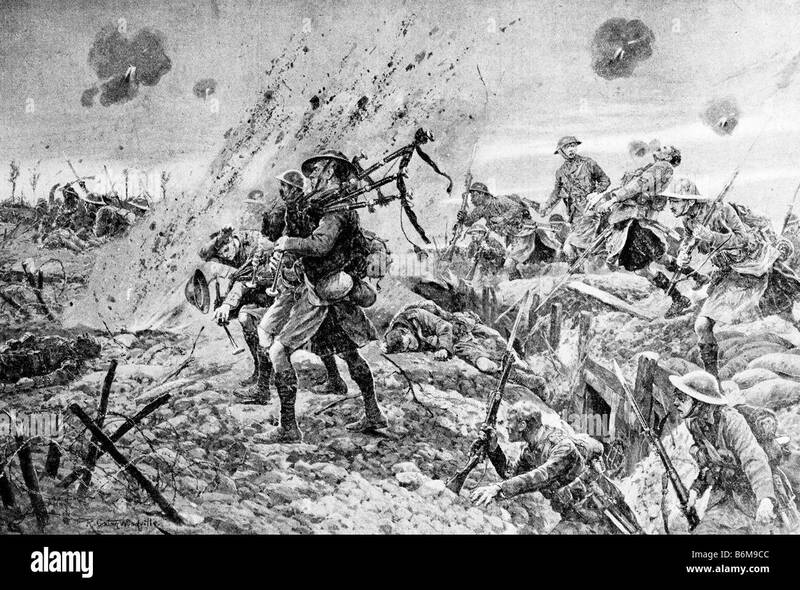 The sketch features pipers of The Royal Highland Regiment (The Black Watch) leading the men towards German lines at Longueval in France. 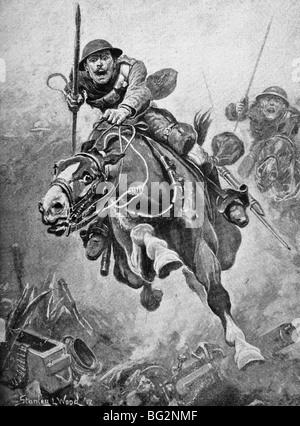 Entitled “The Campbells Are Coming”, after the tune being played as they marched into action, it appeared in The War Illustrated periodical in September 1916. 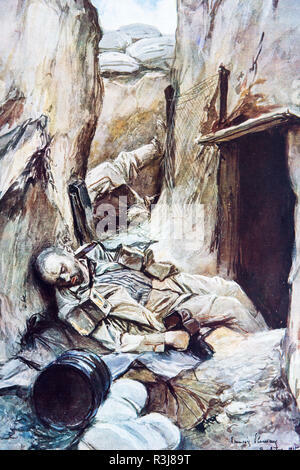 Artist Richard Caton Woodville Jr (1856 – 1927). 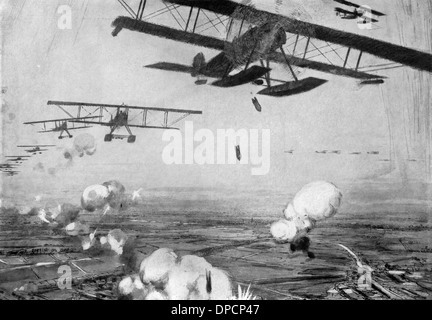 This contemporary illustration shows German bases in Belgium during World War I being attacked by Allied planes. 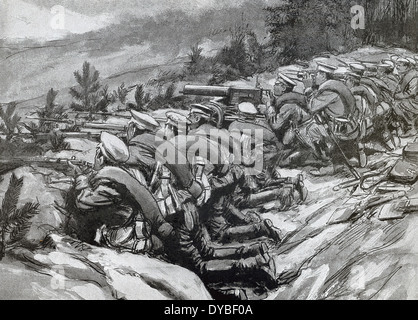 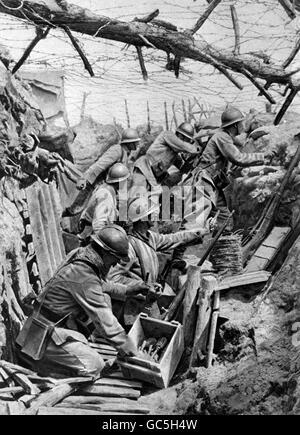 This contemporary illustration shows Russian soldiers in trenches awaiting attack by Austrian troops during World War I. 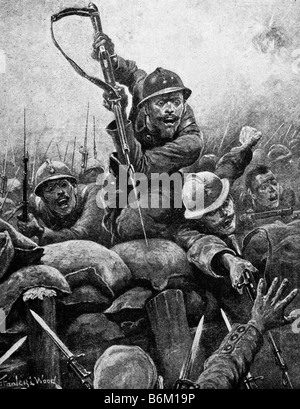 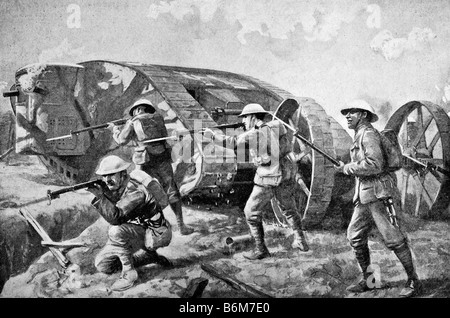 Contemporary World War One illustration of Canadian troops in action in France during the Battle of the Somme. 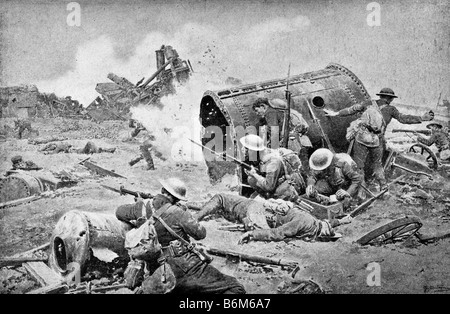 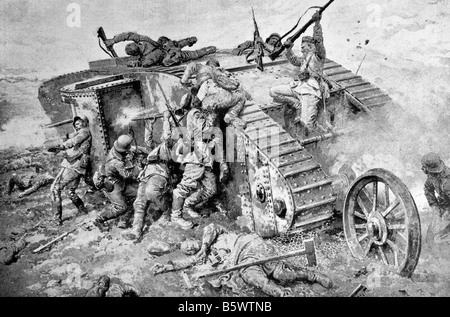 Contemporary World War One illustration of a futile attack by German soldiers on a British tank in France.